Next week is the RT Booklovers Convention in Los Angeles. I’m very excited, as this will be my first trip to LA! I hope if you’re in the area, you’ll come by for the book signing Saturday from 11-2. And if you’re attending the conference, I hope to see you around. Come say Hi! Get a trading card. Nothing is more fun for me than meeting someone who reads my books. 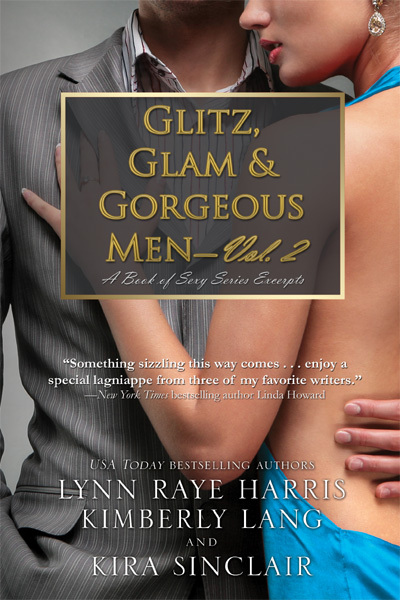 Also, keep an eye out for Glitz, Glam and Gorgeous Men — Vol 2! We’ll have them available at RT. This entry was posted on Friday, April 1st, 2011 at 8:49 pm in News. You can feed this entry. You can leave a response, or trackback from your own site.